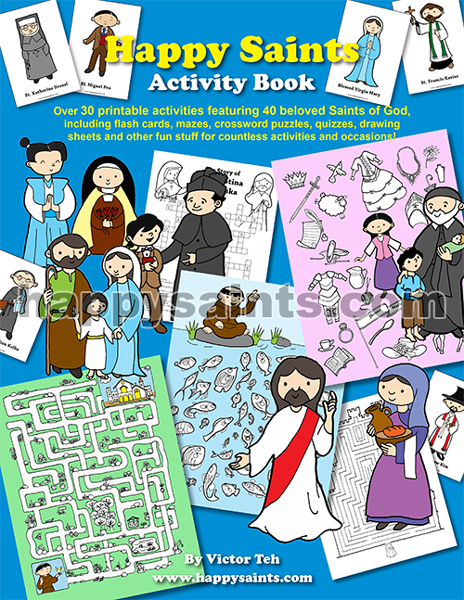 This special edition PDF ebook features over 30 printable activities with 40 beloved Saints of God! There are flash cards (of all 40 saints!! ), mazes, crossword puzzles, quizzes, drawing sheets and other fun stuff for countless activities and occasions! Each activity sheet comes in 2 versions: full color and black & white.